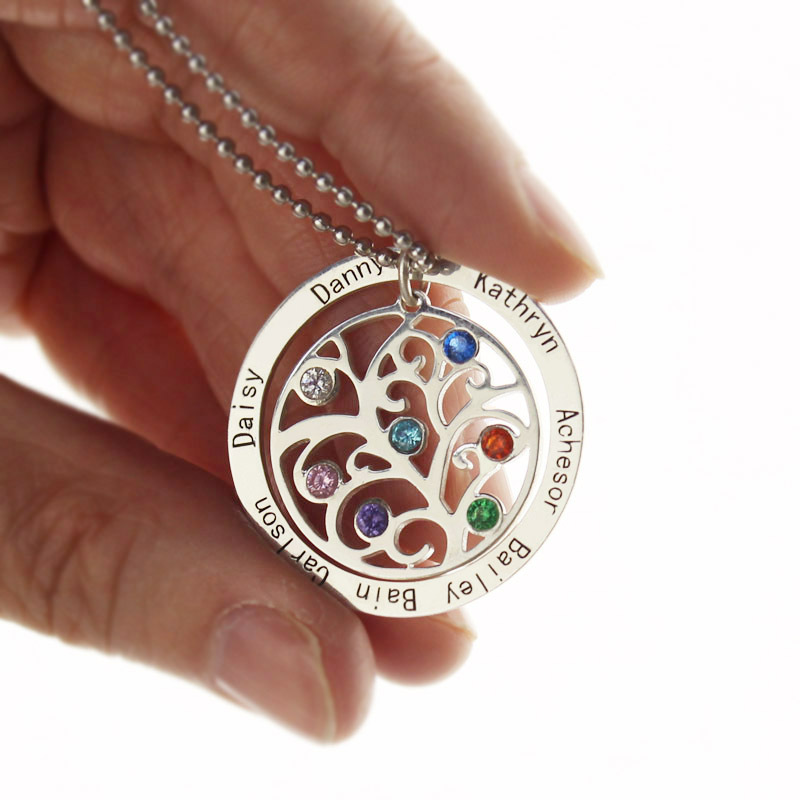 Your family fills your heart with a love that grows more beautiful as time goes on. 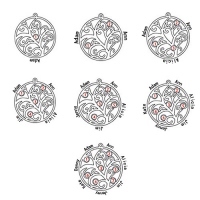 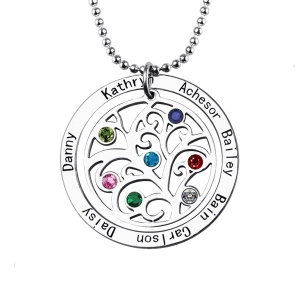 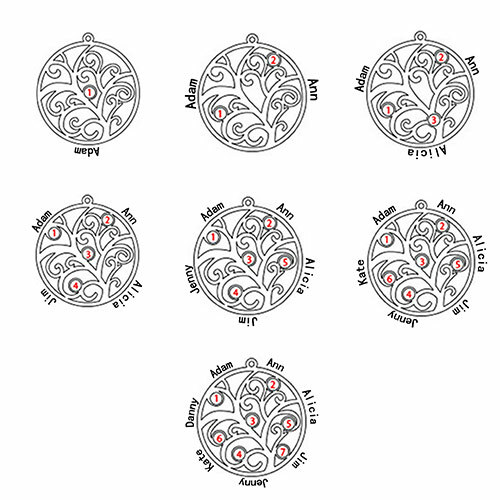 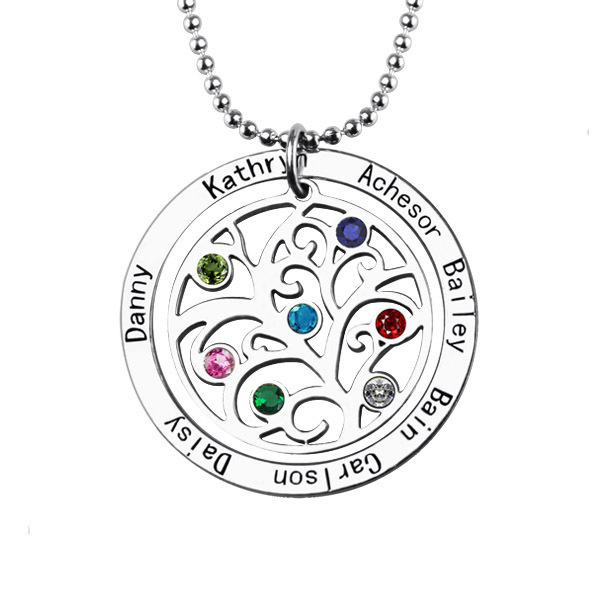 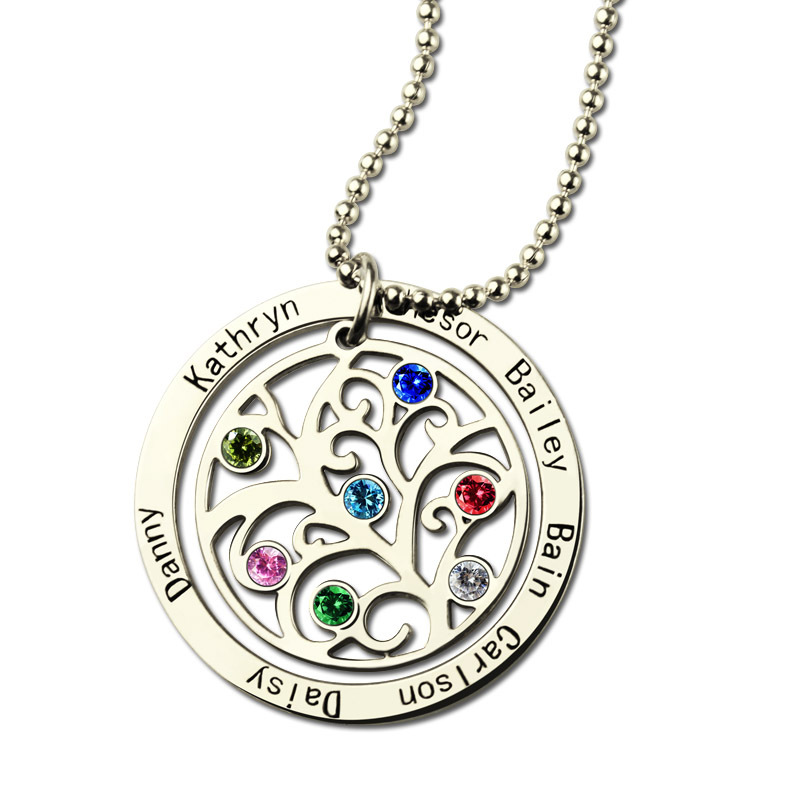 Celebrate that wonderful bond with this exclusive family tree necklace. 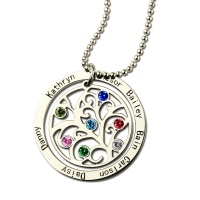 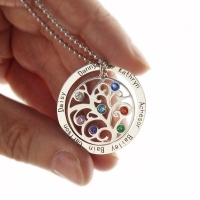 Features a unique tree-shaped pendant that is customized to represent your own family tree with engraved names and crystal birthstone charms.